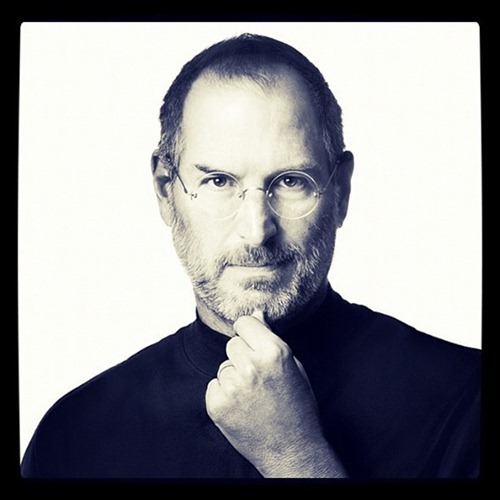 According to a report published today, Steve Jobs was actually laid to rest about five days ago in Palo Alto, CA. The news comes from Forbes – an American business magazine – in a post where they talked about information revealed from the official death certificate of Steve Jobs who, as we all know, died last Wednesday. 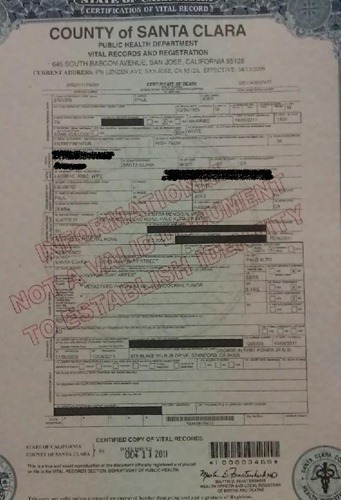 The death certificate that Forbes got its hands on was obtained from Santa Clara County Public Health Department. It categorically states that Steve Jobs was laid to rest on Friday at Alta Mesa Memorial Park in Palo Alto, California. Apple co-founder Steve Jobs was laid to rest Friday at the Alta Mesa Memorial Park in Palo Alto, California, according to a death certificate obtained from the Santa Clara County Public Health Department. He will be surrounded by some of the artists he loved, the technologists who inspired him, and a former U.S. Secretary of the Interior for good measure. Jobs died from respiratory arrest after suffering from metastatic pancrease neurodocrine tumor which was first diagnosed around five years ago. No biopsy or autopsy was performed and it is now confirmed that he was laid to rest this past Friday on October 7th, after we learned that his private funeral was taking place earlier that day. According to Forbes, Jobs “will be in good company” as Alta Mesa Memorial Park is the final resting place of folks like Hewlett-Packard co-founder David Packard and mentor to Packard and the other HP co-founder Walter Hewlett Lewis Terman who were personalities which inspired Jobs. News of Jobs’ death was confirmed by Apple on Wednesday in an email from CEO Tim Cook to Apple employees. The death of Steve Jobs caused great grief to all technology enthusiasts around the world. We even published a pictorial tribute of sorts to Jobs in which we included photos of him from as early as the late 60s (when he was in his teens) to his last keynote at WWDC, 2011. If you’re interested to learn more about Steve Jobs life, you should definitely pre-order Steve Jobs by Walter Isaacson. It is an authorized biography based on over 40 interviews with Jobs (conducted by Isaacson) and about a 100 with his friends, family, competitors and rivals. The book is scheduled for release on October 24th.